Batbrony Reviews "MLP S05:E04 - Bloom and Gloom"
Welcome back everypony to another "Batbrony Reviews"! OK, well this is definitely a... hard episode to talk about. I've changed my vote once already from 'liked it' to 'loved it', but I'm going to change it back to 'liked it' as soon as I'm done writing this review. There are I things that I really loved about this episode, and things that I... well, just didn't really care for. Let's start with the... I don't want to say bad, but, how about, let's start with the 'meh'. The episode got very repetitive. There, I said it, and I'm certainly not the first person to say it. Now, don't get me wrong, it got repetitive in very creative ways; each dream sequence was increasingly more nutty than the last, and it did become clearer and clearer that Apple Bloom was in a dream. But it was so clear that she was in a dream after the first one that, I don't know, it felt like at least one dream sequence could've been cut out. Or, better yet, they could've instead shown all three of the CMC with fully developed dreams, instead of simply following Apple Bloom's POV the entire episode. Then, at least, the dream trope might not have gotten tired so fast. Again, the dreams themselves weren't poorly executed, but they just got very repetitive all the same. That's probably my biggest complaint about the episode; watching it, something just felt wonky about its execution. Now then, let's talk about what I loved. Despite some problems in the execution, I loved the writing here, really, I did. For one, it's very clever of the staff to tie things up with the CMC and Luna by basically concluding a deliberate story-arc in the CMC dream episodes that has spanned 3 seasons. That's very, very clever actually, and smart writing. I also liked that, given that it centered on Apple Bloom, who is, more or less, the de facto leader of the CMC, this particular dream episode, unlike the previous ones, focused on their constant questing for their cutie marks, in this case their fears revolving around them and, more generally, their futures. This sort of anxiety about not knowing what comes next, with all the possibilities that life presents to one, is especially suitable for children like the CMC to experience, knowing so little about what the future may hold for them. Those themes resonated more and more as the episode continued, and I thought they were excellently written and well-delivered. 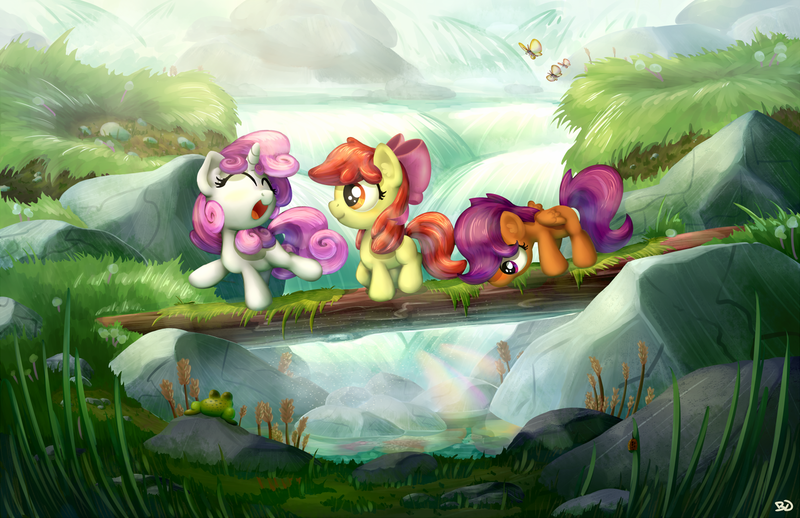 The CMC were very good here, I thought. They didn't exactly do much since the entire episode was, simply, a confrontation with their fears and anxieties in a dreamscape, but still, this seemed like something they would worry about. Their voices have definitely changed, especially Apple Bloom's and Sweetie Belle's; you can definitely tell that Michelle Creber and Claire Corlett are starting to go through puberty.  Some people mentioned Scootaloo as well, but I disagree; her VA, Madeleine Peters, is 19 now, I doubt her voice is changing that much at this point. Besides the fact that they were cute and funny in their usual way, along with the fact that they confronted a problem that seemed very suited for them, I don't really have too much to say about the CMC given how repetitive the episode got and how much of it was in a dream. They were characterized fine, I liked the lesson they learned, and Scootaloo getting to fly in a dream was too cute (even if it was brief), but other than that, not a whole lot to say. As a quick aside, it's very cool for Babs Seed that she finally got her cutie mark, and I do hope we get to see her again sometime later this season. As for the dreams themselves, I'm really just gonna comment on the aesthetics more than anything since it was clearly a distortion of the CMC's reality. The animation looked very lovely most of the time, there were definitely some very trippy visuals as we've come to expect from the dream episodes, and some of those visuals made for some very funny visual humor. Big Mac talking as extensively as he did was probably the trippiest part of those sequences (and most amazing, to boot), along with Apple Bloom's shadow that everyone (myself included) was wondering the entire time if it was Princess Luna or Starlight Glimmer. The shadow being AB's own shadow, that is, her anxieties and fears, more or less, was a very cool bit of writing. 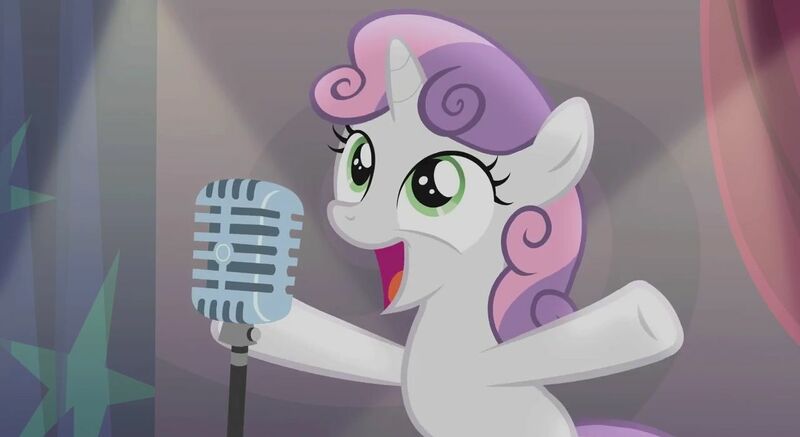 However, what was not so cool was when Sweetie Belle's dream cropped up. :okiedokielokie: Not because of the dream itself, but because it was advertised by DHX prior to Season 5's premiere. I have a working theory now that M.A. Larson is slowly but surely corrupting the rest of the DHX staff and turning them all into belligerent trolls, because whoever greenlighted marketing that scene knew EXACTLY that they were just teasing us and setting us up for a MAJOR disappointment! I'm not mad, in fact, it's an excellent bit of trolling if I do say so myself, but it still got me like a sucker punch to the gut. 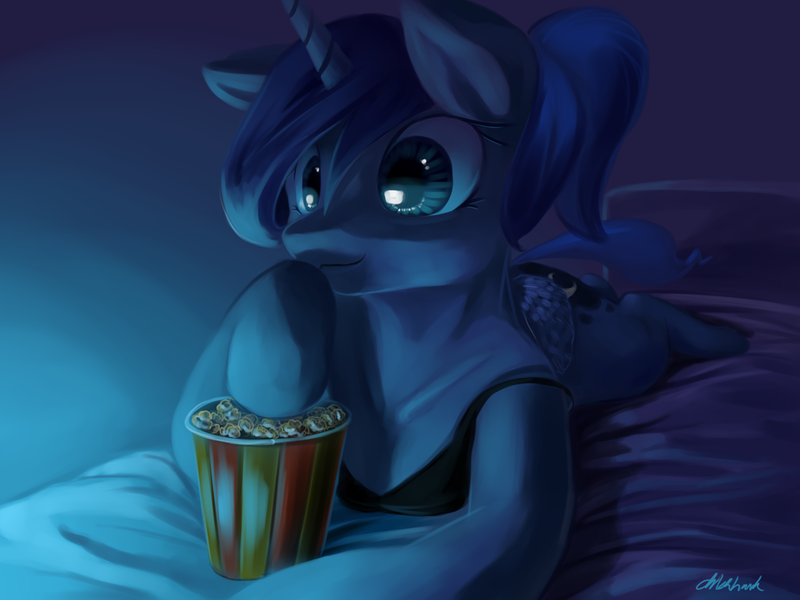 Previous entry Batbrony Reviews "MLP S05:E03 - Castle Sweet Castle"
Next entry Batbrony Reviews "MLP S05:E05 - Tanks for the Memories"
I agree with a lot of this, except I think the repetitiveness was done on purpose like a reference and worked for the episode. And the lullaby may seem pointless but it seemed to be connected to the message of the episode with the line "A cutie mark won't change you, no matter what you get". That particular line could also tie in with "The Cutie Map" and "Magical Mystery Cure". Just my perception of course. Great review.